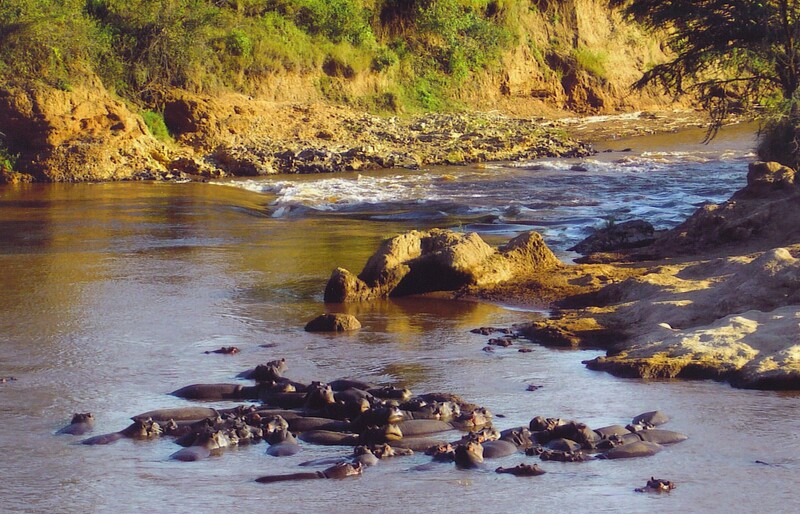 With all those hippos, it didn’t seem wise to go farther upriver. It’s a question that has been debated for centuries, but has no conclusive answer: What is humankind’s greatest invention? Fire gets some votes, as does the wheel. The lever is worthy of consideration, and recently the computer has entered the conversation. If you ask me, though, I believe that the greatest invention was language. After all, if words hadn’t been crafted to express thoughts, people would be limited to arguing with hand gestures and eye rolling. It’s difficult to imagine what things were like back when there was no such thing as a native tongue, because language comes fairly naturally to us now. By the time a kid enters kindergarten, he or she has a vocabulary of well over a thousand words, most of which express dissatisfaction with anything they are asked to eat or wear. An educated adult knows many thousands of words, including some — such as copse — that are only useful in crossword puzzles. The mystery is, how are we able to master something as complicated as language, but still screw up parts of it? A six-year-old knows the difference between the words father and feather. Does anyone draw a blank when asked to distinguish between far (at a distance) and fur (what spinach makes your teeth feel like)? No, we all seem to grasp the distinctions between those similarly-spelled words. But what about farther and further? Furget it. Most of us have stumbled over that subtle difference so frequently that the Oxford English Dictionary is ready to admit defeat and say those words often mean the same thing. There really is a difference between them, though, and here’s how I remember it: Farther is distance; further is degree. Space doesn’t permit me to elaborate on other pitfalls in the English language, such as compliment (“That’s a good color on you”) and complement (“Australian wine goes well with Triscuits”). I know I have personally stumbled over discrete (separate, distinct) and discreet (not sharing a juicy morsel of gossip). You could undoubtedly point out other errors I have made in usage or punctuation — perhaps in this very post — but we’re not picking on each other, right? We want to use the marvelous invention of language in a positive way; we’re helping each other, you and I… or is it “me”? No, “I” is right. I’m pretty sure. This entry was posted in Language and Literature and tagged farther or further. Bookmark the permalink. We natives are lucky to have learned English before we were old enough to know how difficult it is. I mentor a Chinese student who wonders about the difference between affect and effect and why wind in the willows doesn’t sound like what you do with a clock. I marvel at her ability to converse in a language she had to tackle as an adult. She is happy that I concern about her (and I wouldn’t alter that usage for anything).